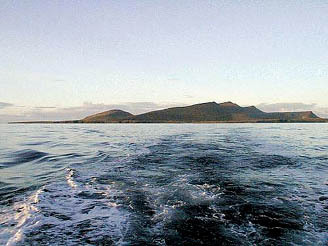 The island of Foula is often described as the "Edge Of The World". This probably appears to be the case as the island lies some 20 miles west of mainland Shetland and is Britain's most remote inhabited isle. Despite it's isolation it's home to a community determined to make sure it remains a lonely but populated part of Scotland. Named after the Norse ‘fugl ey’, meaning ‘bird island, Shetland’s most westerly island is home to the rare Leach’s Petrel and Britain’s largest colony of Great Skuas, or ‘Bonxies’ as they are locally known. One reason for its popularity with the birds is its dramatic coastline rising to the sheer Cliff of Kame, Britain’s second highest at 1220ft. Only St Kilda has higher sea cliffs than Foula. 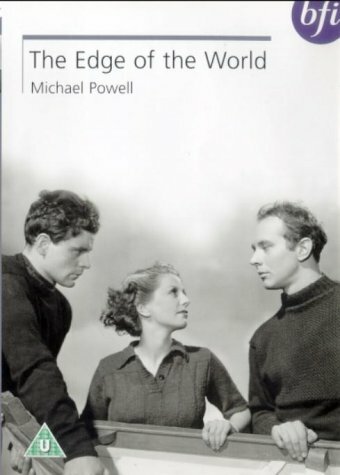 Over a century ago, in 1881, Foula had a population of 267, mostly employed in fishing...at the last census in 2001 that figure had dropped to just 31. Today crofting as well as fishing are the main activities, half the population living at Hametoun in the south east and the remainder to be found at Ham near Ham Voe on the east coast. An interesting feature of the island's people is that they still observe the old Julian calendar, replaced in 1752 in Britain by the present Gregorian system which deleted 11 days from the year. Remote areas of the country kept to the old calendar, adding an extra day in 1800, which was a leap year, and some parts of Shetland continued to observe festivals 12 days after the dates in the new calendar. 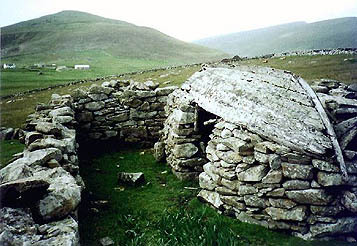 The most remote areas kept to the old calendar longest, and the people of Foula still celebrate Christmas on 6 January and New Year's Day on 13 January. Virtual Tour of Foula - Superb site featuring clickable maps of many of the Shetland islands including Foula. Another quality effort from the people at OriginArt. Shetland Heritage - Foula pages from the Shetland Heritage website. Containts a few interesting features on the Islands including a brief history as well as some local information. 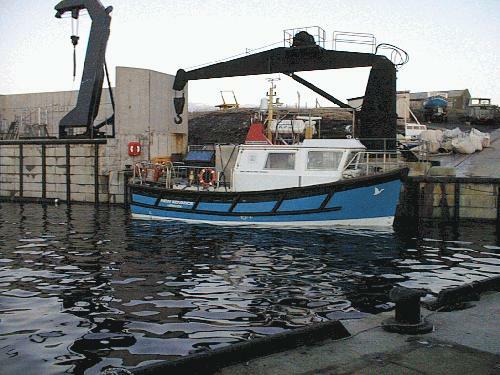 Visit Shetland - Foula page from the Visit Shetland site contains plenty of information...including how to get there. Charles Tait Photography - A small range of quality pictures of Foula and the surrounding stacks and cliifs from the consistantly good Charles Tait photo library.